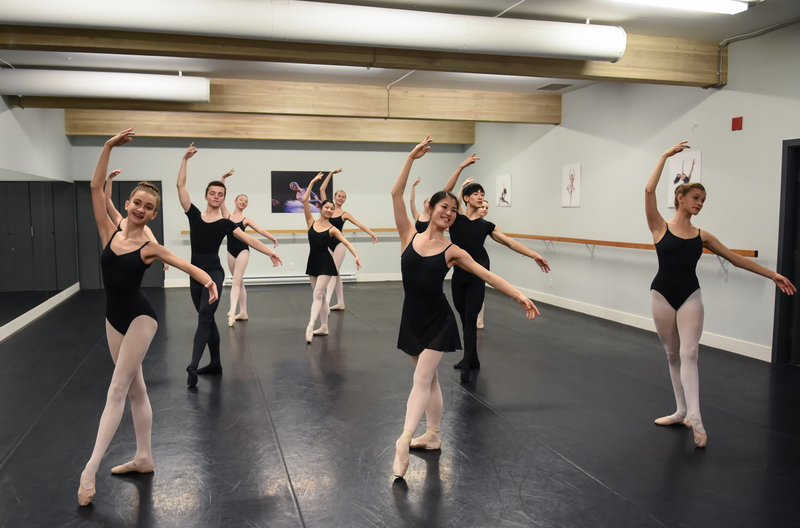 In September 2014, The Victoria Academy of Ballet moved into new premises in downtown Victoria BC. The studios are based in the city centre, conveniently located for easy bus transportation, coffee shops, restaurants and shopping. Inside the building are two fully equipped dance studios for use by the students of the school. Sprung floors with marley dance surface. Professional Training Program/Bridge Program student lounge. Study room for students to complete schoolwork. Piano accompaniment in the dance studios. Fully modernized air circulation system. Free 1 hour parking passes available to parents.